here’s a few more goodie packages i put together. 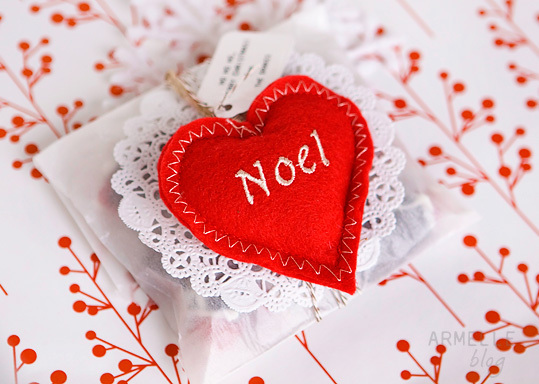 i loved using some pretty yarn, doilies, and ornaments with tiny tags. i got these clear plastic boxes from paper mart. and, remember the chocolate covered cinnamon santa’s i made? 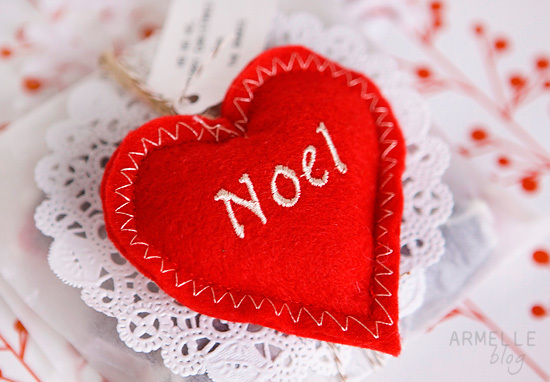 i put a few in a glassine bag, and topped it with a felt ornament, a doily, a tag and bakers twine. 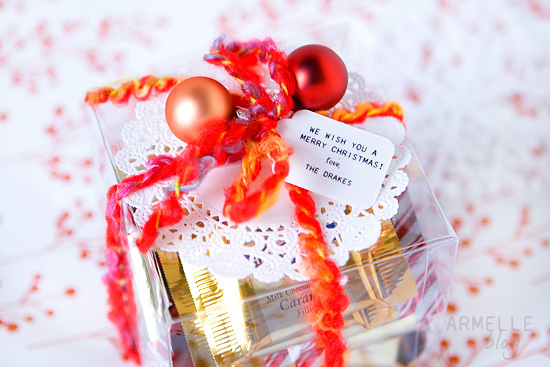 tomorrow, i’m going to share another fun holiday treat we made, as well as the packaging! are you sick of my packaging and goodie posts yet? These are amazing! Your Gift-ees must feel so loved and special getting one, so beautiful! those cinnamon santas were really good. thanks! merry christmas to you guys, too. adorable packaging, i too love wrapping gifts! 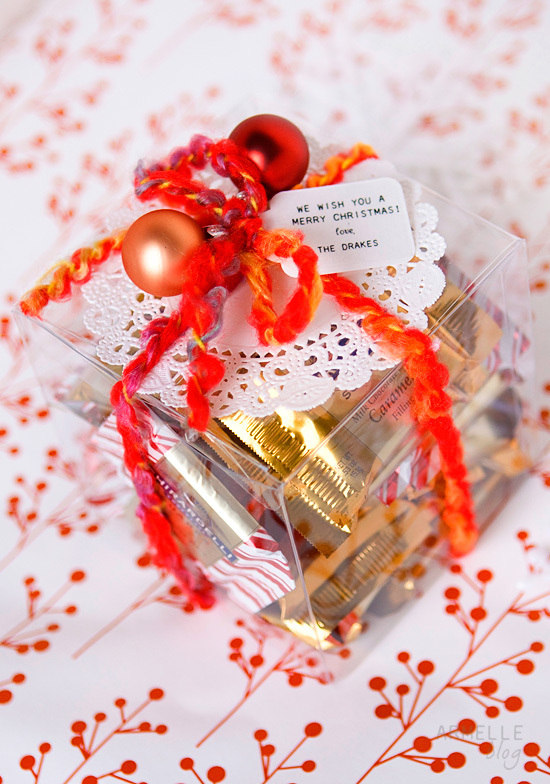 cute paper under your packaging ideas, too!